Welcome to 135 Mammoth Drive in Tahoe City! 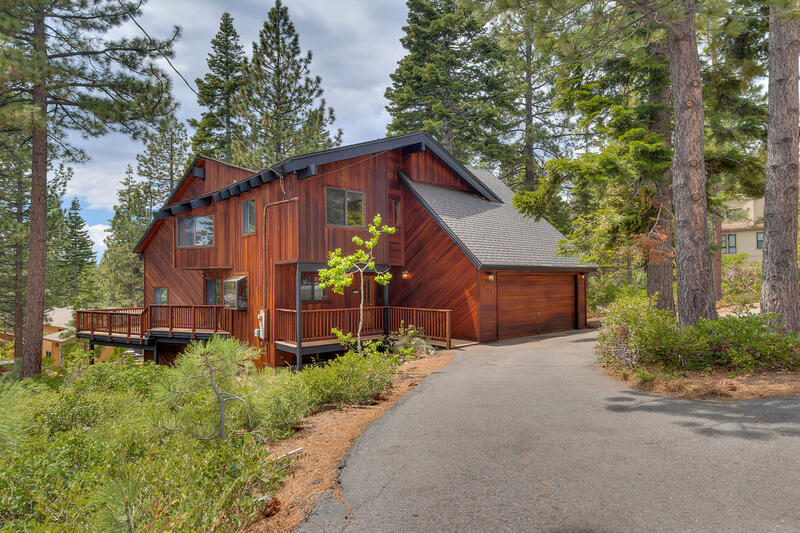 This charming Dollar Point home is located on the North Shore of Tahoe featuring 3 bedrooms, 2.5 bathrooms, 2-car garage, and a wonderful porch entry. The open layout provides views of the natural surroundings and direct access to the outdoors onto the spacious deck. The kitchen and dining area is a great place to mingle and sit down for a family-style dinner. Step down into the large living room to relax and cozy up by the rock fireplace on those chilly nights. A separate laundry area and half-bath are on the main level of home. There are 3 bedrooms upstairs including a sizeable master suite. Located in one of North Shore’s most desirable neighborhoods with exceptional HOA amenities from pool, tennis court, private beach, pier and buoy. Enjoy the outdoors with nearby trail systems, cross-country skiing, and close proximity to miles of paved bike trails; makes this home an exceptional year-round retreat. Minutes drive to downtown Tahoe City.